A while ago, I bought 2 of your books, one was Love Covers. We have a Bible Camp and they ask a donation for a new cabin. I suggested auctioning a quilt. I made a Love Covers quilt for the auction. The auction is on the 22 of Nov this year. I had fun making this quilt, it is so easy, and it looks great. 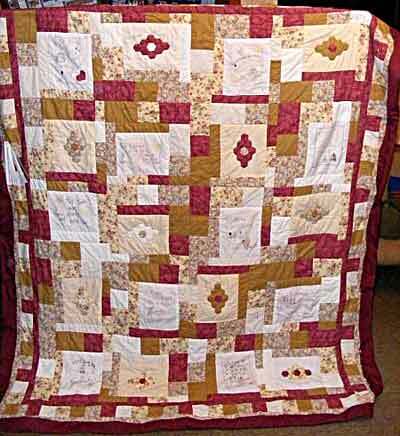 I have attached a pic of the quilt.